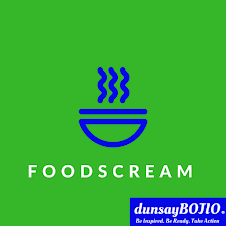 Food scream with me, savour great food with me. 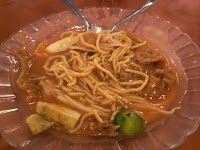 Best food adventure Singapore Malaysia hunt Malaysia and Singapore food with me. Travel to places like Taiping, Ipoh, KL,Malacca and countries like Hong Kong, Singapore, Thailand and many more. Please remember to enjoy and savour my blog as much as I enjoy sharing them. This place is like a "historical place" in Taiping. Anyone who lives or grew up in Taiping would definitely know this place of noodle or mee. In fact, it is like a meeting place for those who return from overseas. It becomes the first stop of the day. 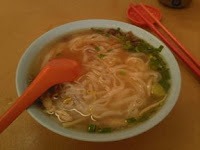 A place where nice hot chicken kuey tiow soup with bean strout and shallot is served. A place where you can get wantan mee,noodle and all the good noodly stuff and hot or cold beverage. For me, it is always kuey tiow soup with sambal chilli and teh peng (ice tea with milk) or kopi peng (ais coffee with milk). (I don't understand how people can take kuey tiow soup with just cut chilli when sambal chilli taste so good). The price of the food here had increased over the years. 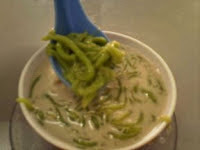 I used to pay about RM0.70 for a bowl of kuey tiow or noodle soup but it costs me RM2.50 now. Well, still a good deal when compared to other varieties of food in the city. So, if you are in Taiping, make sure you visit Kakak in the morning! 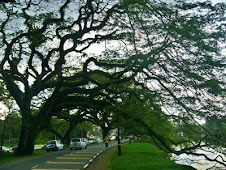 If you've not, you've not really visited Taiping! Total Costs: RM3.70 for a mouthwatering breakfast! Worth it, man! Address: 111, Jalan Pasar, 34000, Taiping, Perak. Good for you! I didnt know that you are also a food critic. I did try out MrBBQ last month (along with my fav Kakak). The price at MrBBq is very low compared with the rest. If they keep this up, very soon restaurants like Soon Lee will soon have to think of something else to fight back. Taiping, a small town up north in Perak. This is the hidden food paradise that we will discover together in my blog. I will share with you my food escapades everytime I return to Taiping, a place I once called home. Secrets that you may not find elsewhere. If you are a Taipingnite, you will know what I meant, if you are not, you should read up and travel there to explore and enjoy the secrets to these savouries. Find out how you can bring down your cholesterol level the natural way within a few days!! Compliments from Irin and Zuggle. With power comes great responsibilities. As I savour the food in the region, I also get cooking and baking recipes and tips from friends and family members who love to cook and bake. Only in this blog, would you be able to discover the secret recipes of their delicious and tasty food here. Burn your fats away the healthy way! I eat and eat and blog and blog. 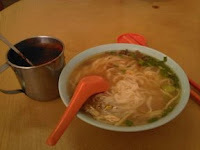 However, as I do not return to Taiping often, sometime soon my "food juice" may dry up. So, in order to ensure good flow of "foodie" information, I always welcome contributions from fellow Taipingnites or fans of food from Taiping. You can take some beautiful shots of the good food before you consume or salivate on them. 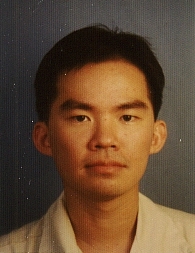 Attach the photos to me with your contact information and short write up of the place and food. To ensure no vulgarities and verbal abuse to any party, before I post them on my blog, I will spend some precious time to vet and make some minor amendments to your article and pics. Well, worry not, please be assured if your article is published I will ensure credit be given to you by indicating that the write up is contributed by you. Fair? If you feel it is fair, then contribute; if you feel that it is not fair, then just wallop your Taiping food and digest them. The end of your story. 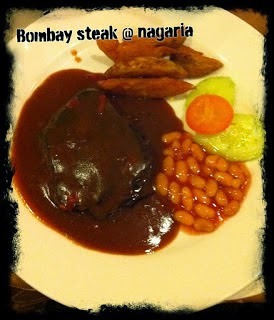 But, you can still continue to visit my blog and drool over the good food featured. "The Cats & Dogs' World with The Mother-in-Law"